The little town of Snow Valley, Massachusetts is noted for its quiet beauty, its friendly people, its candles… and murder. 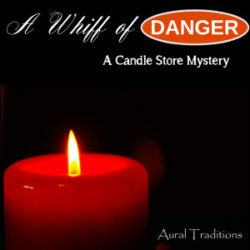 And there’s only one person able to solve the crime: Charley Chandler, the town’s candlemaker. If you’re a fan of Hallmark Movies & Mysteries, you’ll get a kick out of this slightly less serious take on the classic formula. GREAT!! I loved it! keep up the good work.